Highlight of the week remains the incredible generosity of our families for the benefit of others not only in our local community but a child in India we will never meet. The tins, packages and fresh produce, much home grown in our grounds or by families created an amazing display created by Ginny Calmers (didn't she retire?) and Mr Carpenter. Thanks also to Mrs Harvey Smith and Y6 staff and parents who followed though a plan for us to dress in orange, green or white paying 50p per child to recreate the colours of the Indian Flag. This money will fund the education of a young boy in India, our friends through the Rotary Club will match this for a girl as our previous girl is now training to be a midwife. All produce will be collected for our Hatfield Food Bank, which helps so many local families who find themselves in crisis. Winners for extra Golden Time, for bringing in the most produce by the deadline are... to be announced in Assembly tomorrow! 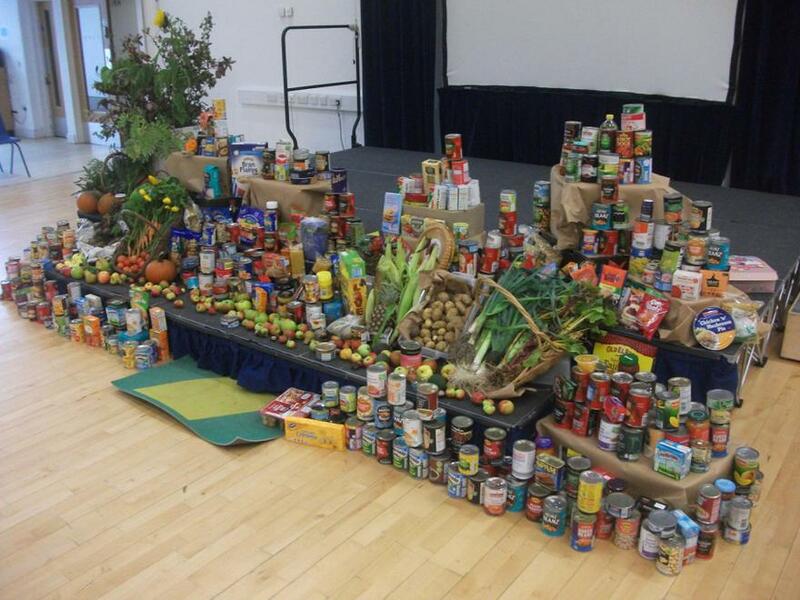 Thank you so much for the generosity from so many within our school community.